Don Hase received his law degree in 1981 from Texas Tech University School of Law and immediately joined the Tarrant County District Attorney's Office. During his time in the DA's office, he prosecuted cases in Felony, Misdemeanor and Juvenile courts. He also handled appeals in the Appellate Section of the DA's office. He was a senior felony prosecutor at the time he left the DA's office in 1987 and became a founding partner of Ball, Hase & Wisch, which in 1995 became Ball and Hase. 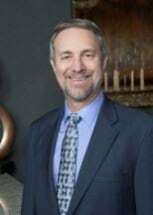 He is active in the Tarrant County Criminal Defense Lawyers Association, and was President in 1999. He is also a member of the Texas Criminal Defense Lawyers Association and the Arlington Bar Association. In 2013, he was appointed by Gov. Perry and confirmed by the Texas Senate to be the one private practice attorney member of the Texas Indigent Defense Commission. In 2017, he was re-appointed to TIDC by Gov. Abbott, and again confirmed by the Texas Senate. He has been Chairman of the Fort Worth Subcommittee of the Texas Supreme Court's Unauthorized Practice of Law Committee since 1990.